Added on December 6, 2012 by Ken Maldonado. 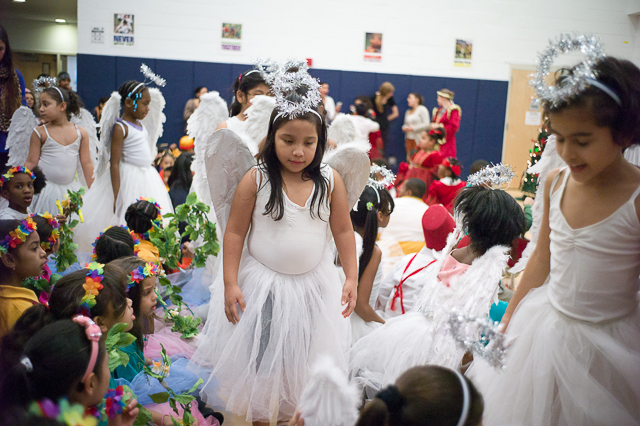 Children at the New Haven Academy Charter School in the Bronx prepare to perform the ballet The Nutcracker to an audience of parents. Dancers from Ballet Ambassadors, an organization that aims to introduce children to the art of ballet, instructed the children in a day long workshop prior to the performance.